Trained in the administration of medical gas & basic life support. Familiar with the side effects of medical gases. Aware of the criteria for patient selection and exclusion. Medical gases are administered safely & effectively. To reduce the likelihood of side effects and complications. 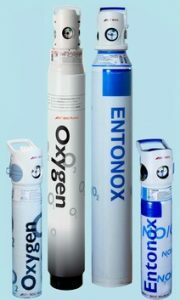 To give students a greater understanding of oxygen therapy. Teach students about the different illnesses that could require oxygen therapy. The use of bag and mask. Correct use of OPA (Oral Pharyngeal Airways). The use of analgesic gas.